Who Were Mr. Wilson & Mr. Heath Mentioned In The Beatles Song “Taxman”??? George Harrison wrote the song “Taxman” in 1966 when he realized that his large earnings placed in the top tax bracket in the United Kingdom this making him liable for a 95% super tax. During the bridge of the song, John Lennon suggested using the names of Mr. WIlson and Mr. Heath in the background vocals. But who were Mr. WIlson and Mr. Heath? 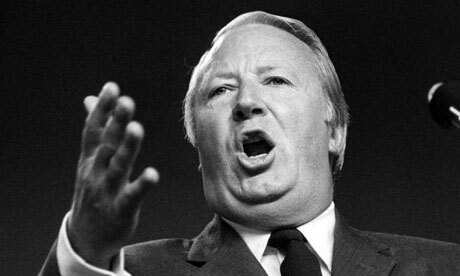 Mr. WIlson was Prime Minister Sir Harold Wilson who’s Labour Government introduced the super tax. 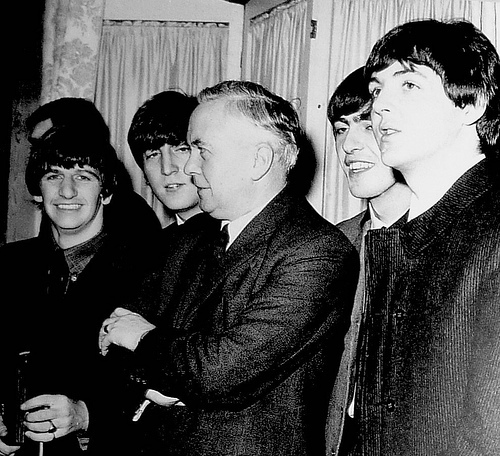 Here he is below pictured with The Beatles. What Did The Beatles Mean By “Helter Skelter”?